I'm sure I'm not the only person in the North East who was left feeling a little sad at the end of last year's panto when they announced that Newcastle Panto Company would not be returning to the Tyne Theatre in 2017. 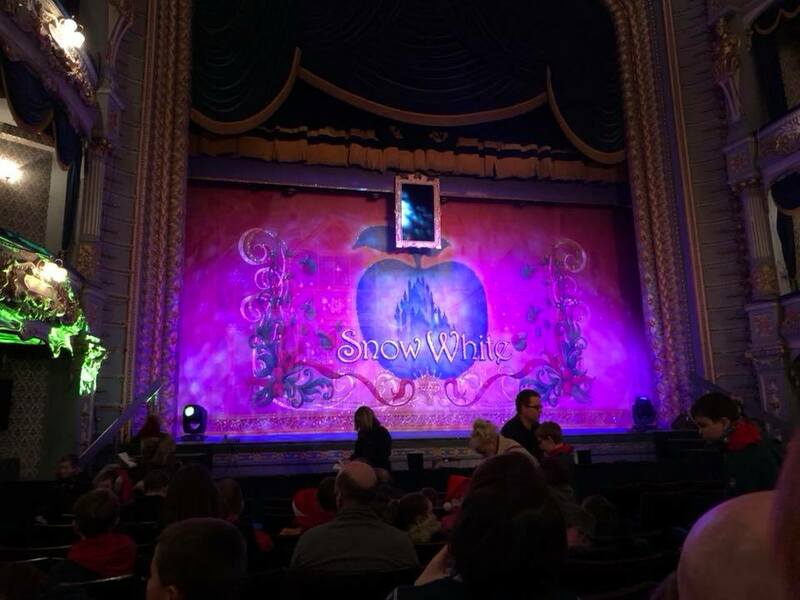 Watching Newcastle Panto Company at Tyne Theatre & Opera House year after year was always one of our family traditions and I was firmly in the camp of why change something that doesn't need to be fixed? It was time for a change though and Newcastle Panto Company now has a new home at Gateshead International Stadium and Enchanted Entertainment were brought in for 2017's pantomime at Tyne Theatre & Opera House where they promised big name stars with a brand new production. The big name stars turned out to be pretty good and I think Enchanted Entertainment delivered on their promise - Michelle Heaton plays the evil Queen, Britain's Got Talent Winner Matt Pagan from Collabro is the Prince, ITV Tyne Tees Rachel Sweeney plays the magic mirror and Britain's Got Talent finalist Danny Posthill is Dame Dotty Donut. It's certainly a talented cast! We took our seats in a packed theatre with open minds and were excited to watch the story unfold. This pantomime is definitely one that's aimed towards kids rather than grown-ups. There was far less innuendo or jokes for grown-ups than any of the other panto we've watched this year and the audience was mostly made up of families or groups of kids. That's not to say grown-ups won't enjoy it, it's still fun but you'll be laughing with your kids rather than above them. There were lots of elements we loved in the show - Michelle Heaton was superb as the evil Queen and I was always willing her to be on stage in the next scene. I loved watching her perform and she's a natural on stage with excellent singing and dancing. The Liberty X number was the highlight of the whole production. Similarly, Matt Pagan's voice was superb and his solo numbers were top class. It was lovely to see local lads Charlie Richmond and Lewis Denny and they had a fantastic chemistry with the audience. The Seven Drawfs were also super endearing and you couldn't help but have a soft spot for them. There are a couple of songs from the Disney movie too which we all enjoyed. I don't know if it's because this was our 5th panto this year but Harry in particular found some of the jokes to be a little repetitive - the Ghostbusters scene has been part of the Whitley Bay panto for as long as we can remember and it was disappointing to see it repeated (and not as well) at Tyne Theatre and the classic 'If I were not a.......' song seemed a lot funnier at the Theatre Royal this year. Enchanted Entertainment promised a brand new production for Newcastle this year but to me, this wasn't the case at all and it did seem very 'samey'. I'm also not sure why they repeated the same scene with the ghosts in the forest twice - I don't think this was needed and it just felt like it was padding out the show rather than adding anything to it. I guess if this is the only panto you watch it won't be an issue but next year I'd love to see more unique content and for this panto to really set themselves apart from the others. I wasn't keen on the panto dame either and if I'm honest, I missed Lottie and Dottie Stottie! For me, Dame Dotty Donut didn't really add anything to the show and I think the talented impressionist could have been used in other ways - the magic mirror perhaps? Snow White and the Seven Dwarfs is full of music and the production is accompanied by a live orchestra which really makes the evening feel special. There are plenty of 'boos', 'he's behind yous' and of course, the bit that everyone loves where some lucky children will get up on stage and provide a couple of laughs that you wouldn't be able to write in the script. Snow White & The Seven Drawfs is what I'd call a good all-rounder. There's live music, all of the elements you'd like to see in a good panto, fantastic singing, big-name stars and I always think Tyne Theatre & Opera House is the most beautiful theatre in Newcastle. 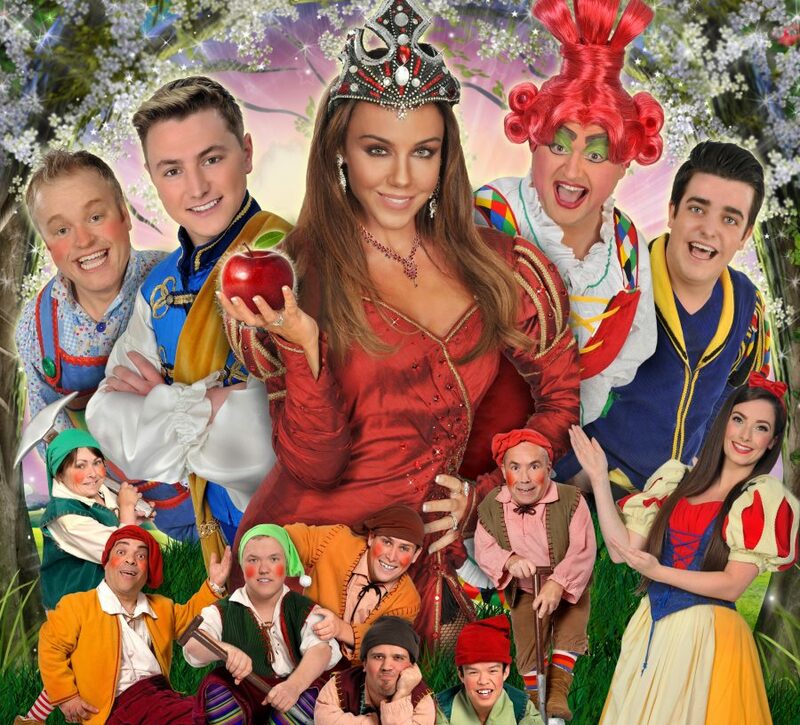 Michelle Heaton, Matt Pagan, Charlie Richmond and the Seven Dwarfs really were all a joy to watch and I loved it when they were all on stage. Snow White & The Seven Dwarfs continues until 31 December.